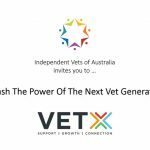 During this Webinar Dr Mark Ethell interviews Stuart Towers from iRecall and Dr Jim Thompson from Turramurra Veterinary Hospital. 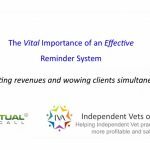 They discuss the Vital Importance of Reminders within a Practice and the ROI achieved by Jim’s Practice. What is different about iRecall? How are clinics achieving growth of upwards of 20-40% with this service? To find out view this Webinar.